Mark Bailen focuses his practice on media and publishing matters, including libel, privacy, copyrights and trademarks, while also performing complex commercial litigation and international arbitration. As media and technology have evolved, Mark has transitioned from representing traditional media outlets to also representing clients in the growing fields of the internet and digital media. He represents websites, bloggers and others who publish and disseminate news, information, opinions and ideas. His involvement with all mediums of publication leaves Mark with a full understanding of the rights and obligations of content publishers. He advises clients on the potential legal issues related to their content and is proactive in developing the appropriate solutions to protect clients in their publishing endeavors. 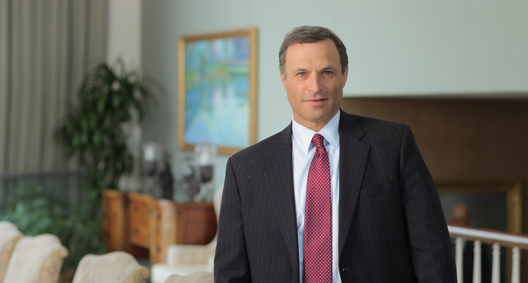 Mark also litigates complex commercial disputes in federal and state courts across the country, including international litigation matters involving foreign sovereigns. Defending online news site in defamation, privacy and Section 1983 actions in Maryland federal and state courts. Represented a nonprofit firm, a major national newspaper and others in a libel suit in New York arising out of the content of an advertisement published in the newspaper and on the internet. Managed a team of attorneys through a six-week jury trial in New York in a multimillion-dollar breach of fiduciary duty and fraud action involving a foreign government official. Has represented a foreign government in sovereign debt litigations. Represented a publisher in copyright infringement actions in New York and California involving claimed rights in photographs and manuscripts. Represents bloggers in various defamation actions in Washington, D.C., arising from commentary on blogs and use of video on a website. Litigated an issue of first impression concerning the identities of anonymous online posters and established a standard for the disclosure of their identities under Maryland law. Represented defendants operating a website in a defamation action filed by a publicist who sued over statements made about her on the website stemming from postings on her personal social media page, raising issues of first impression under the First Amendment when one seeks attention and publicity through social media. Defended publishers in various actions brought by authors disputing royalties in Washington, D.C., and New York. Represented a newspaper in a civil rights action against a governor and state agencies for denying newspapers' First Amendment rights to comment freely on the governor's actions. Has vetted numerous manuscripts, including the best-selling biography of a former U.S. president. Represented a foreign bank in a breach of contract action in New York federal court. Litigated a dispute on behalf of a major publishing firm over royalties from sales through foreign distribution outlets.